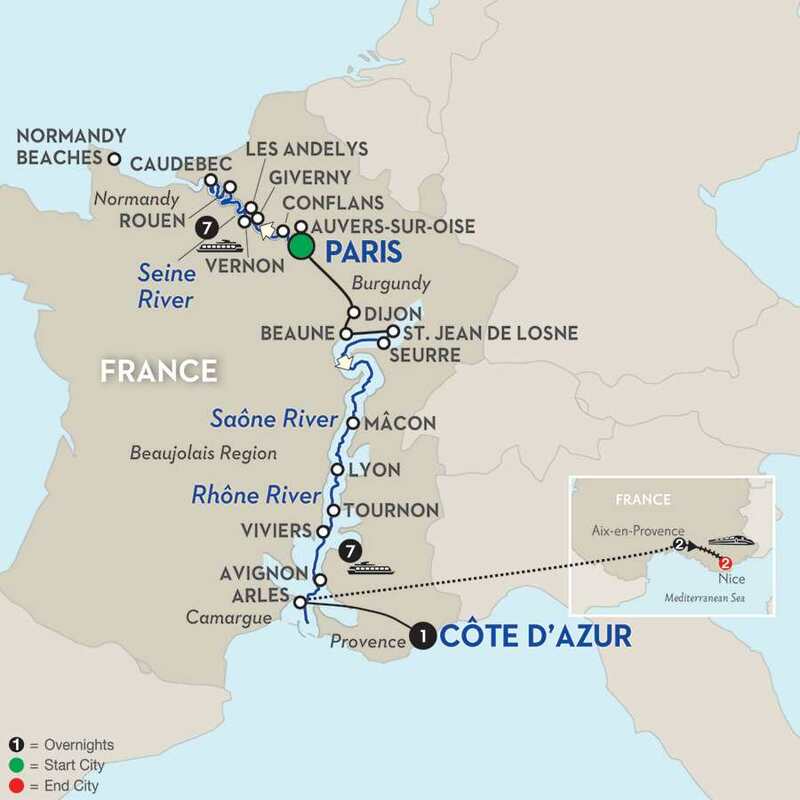 Set sail on your Seine River cruise with a historical excursion to Normandy’s Landing Beaches, including Omaha Beach, the Point du Hoc monument, and the American Cemetery. In Rouen, best known as the home of Joan of Arc, you’ll go on a guided walk and you will learn the important role played by this city during the French Resistance. Alternatively, you may visit the battlefields in the area of Vimy Ridge and Beaumont-Hamel. You’ll begin in Paris to explore the "City of Lights" with Notre-Dame Cathedral, the Eiffel Tower, and the Louvre Museum, or take a guided walk through the heart of Paris to see the historic Île St. Louis with its narrow streets, and Île de la Cité. You can also choose to take a tour focused on WWII and visit the museum of Les Invalides. Cruise to Lyon, France’s gastronomic capital, and visit the twin cities of Tournon and Tain l’Hermitage, beautifully nestled among vineyards to tour the Roman ruins and a fascinating 16th-century castle or Tournon. On a guided tour of historical Avignon, see the 14th-century Palace of the Popes, and Arles on the Rhône River (an inspiration for Van Gogh’s paintings). 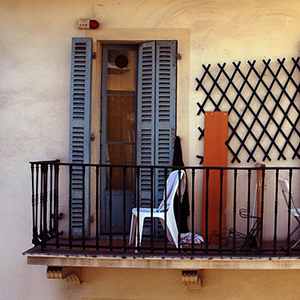 After your cruise, transfer to Aix en Provence for a 2-night Monograms French vacation package. You’ll enjoy guided sightseeing with an expert Local Guide. You’ll take a high-speed train to Nice for a 2-night stay, guided sightseeing, and the opportunity to visit Monaco, St. Tropez, or Cannes. You’ll have the expertise and assistance of your Local Hosts® to help you with all you need for a great French vacation.